This is an excellent question that often gets overlooked by mental health providers. We tend to take for granted that people will “just know” if they need therapy or not, but there is a whole process of decision making for people that rarely involves the clinician. In the spirit of full disclosure, let me just say first that I am a big believer in the idea that just about everyone can benefit from therapy. Even people who are well-adjusted and feeling fulfilled can experience growth, insight, and greater richness in life by engaging in the therapeutic process. 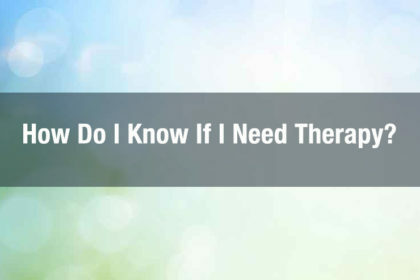 So, if you are asking yourself (or your spouse, or a friend, or a therapist), “Can I benefit from therapy,” the answer is “Yes!” However, this is probably not the question you are intending to ask yourself. What is Holding You Back from Seeking Therapy? People struggle with the notion of going to therapy for a variety of reasons. For some, it is a time commitment that feels like “one more thing” to add to an already stressful life. Some are concerned about the financial aspect of participating in therapy. For many, the main hurdle that gives people pause has to do with the stigma that is attached to anything mental health related in our society. Needing therapy is viewed as a weakness, a failure of character, and a cause for shame. This mentality often results in individuals, couples, and families living with pain for longer than is necessary, waiting until a crisis arises, and/or experiencing avoidable loss or damage in relationships. Social stigma could be an entire post in and of itself, so let’s try addressing this question from a different angle. What if we were to apply the same decision making process to therapy that we might use in deciding whether to engage the services of another professional, such as a doctor, a mechanic, or a plumber? Over time, we tend to develop an awareness of what we can handle ourselves, and what needs professional attention. In the case of medical issues, we learn that there are some maladies, such as a cold or a scrape, we can ride out or treat ourselves, while other things, such as a broken bone or difficulty breathing, would be best handled by a medical professional. To extend this metaphor further, there are times when something starts out manageable, such as a cold, but turns into something that requires medical attention, such as bronchitis or pneumonia. There are also medical issues that can seem minor at first but turn out to be fairly serious. For example, the chest pain you thought was heartburn may actually be a sign of heart disease. Unless you are one of those people who would rather die than go to the doctor, you have probably developed a threshold for when to seek medical attention. Criteria may include such things as how miserable you feel, how much the injury/illness is interfering with your daily life, and how much it is affecting those around you. 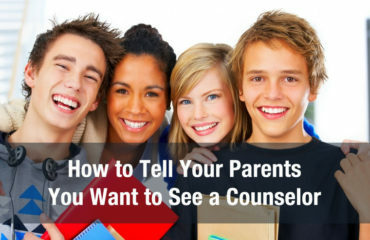 These very criteria may easily be applied to mental health, as well: if your emotional or relational struggles are creating distress, interfering with your daily activities or motivation, and/or affecting others in your life, it makes sense to seek the help of a mental health professional. Is this issue creating emotional distress for me? Is this issue impacting my daily life? Is this issue impacting others? We can even extend this decision making process to something more mundane and impersonal, like car troubles or leaky faucets. There is typically no shame in saying, “I need to take the car to the shop,” or, “I think it’s time to call the plumber.” Why, then, is it so difficult to make the same call when our emotions become overwhelming or our stress unmanageable? I suppose we are back to the social stigma issue, but if we can start making a personal paradigm shift by viewing the need for mental health assistance as being similar to needing to see a doctor, go to a mechanic, or call a plumber, perhaps we can catalyze a change in our community toward a perception of mental health that is life-giving rather than shaming. Or maybe this personal shift in perspective will simply allow you to give yourself permission to seek professional help, bringing relief from your suffering sooner than you would otherwise have experienced. Review the three questions listed above and apply them to your own situation. 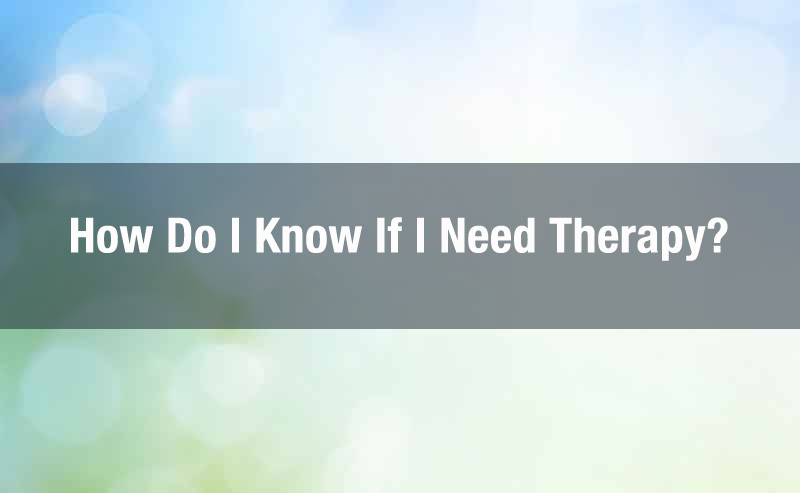 If you answer “yes” to any of them, you are very likely to find therapy beneficial. I encourage you to make some phone calls, browse some websites, and gather information about what it would be like for you to engage in the therapeutic process. Just as you wouldn’t continue to drive your car when the engine light is on, you need not continue to power through life feeling distressed and distraught.